Did you know that just in 2016, Dubai saw more than 15 million overnight visitors? Dubai with its incredible history, iconic skylines and record-breaking structures has been enticing visitors for several years now. Ras Al Khaimah, Abu Dhabi, Fujairah, Sharjah – each of the UAE’s incredible Emirates entices and beckons visitors to come and admire their marvels. In just a few short years, the UAE has achieved an amazing, full-throttle escalation from a nomadic desert to a landmark tourist destination. Till date, more than 5 million visitors have visited the Burj Khalifa, the world’s tallest building, which stands proud at a height of 829 feet. 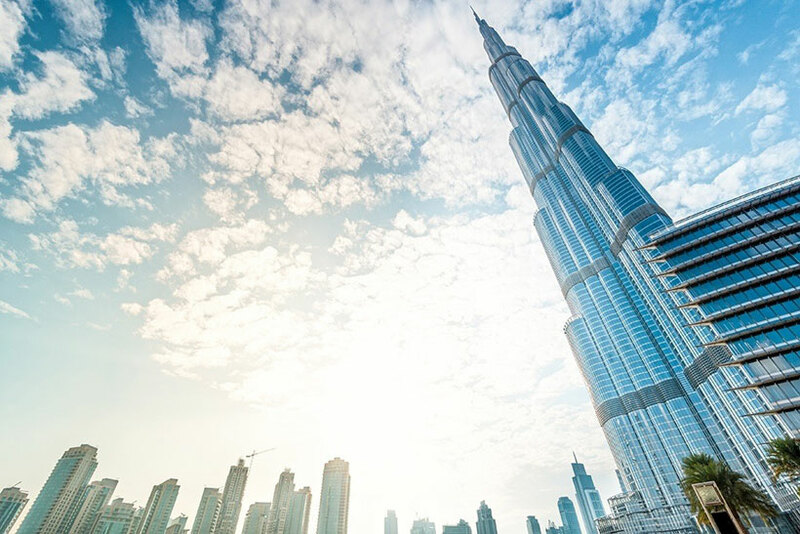 The Burj Khalifa is also the world’s tallest freestanding structure, with the world’s highest observation deck, and the world’s longest elevator travel. With all these many top records, the Burj Khalifa is a wonder that has put many stars into the UAE’s travel blanket. Prime time access (5 P.M. to 8 P.M.) to levels 125 + 124 is AED 200 for adults and AED 160 for kids under 12. Entry is free for infants smaller than 4 years. Non-prime- time access (8 A.M. to 3 P.M.) is AED 125 for adults and AED 95 for kids. Burj-Al-Arab – The Only 7-Star Hotel In The World! Dubbed as the most luxurious hotel in the hotel, the Burj-Al-Arab’s fantastic, extremely distinctive sail-shaped silhouette just takes your breath away. 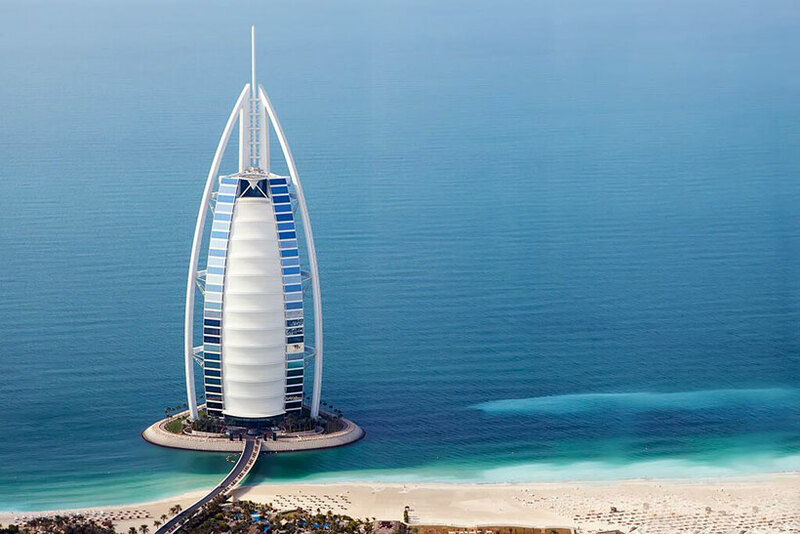 The Burj Al Arab Jumeirah’s service is extraordinary, and if you’re lucky enough to experience it, you’ll know it. It all starts with a chauffeur-driven Rolls-Royce ride from the airport. Then there are helicopter trips to sights from the helipad which is actually a 4,467-square-foot grass tennis court. Add to that private beach access, luxurious pools and cabanas on a breathtaking terrace, the world’s top restaurants, and you stop wondering about the 7-Star status. Visitors are not allowed to drop in unless they have restaurant or room booking. However, afternoon tea costs AED 190 in the 18th Assawn Lounge or Sahn Eddar Lounge (closed during Ramadan) between 3 P.M. to 5 P.M. Afternoon tea is also made available in the Sky View Bar, on all days except Fridays. Did you know that the JW Marriot Marquis hotel in Dubai holds the record for being the tallest hotel in the world? The JW Marriott Marquis stands at 1,165.84 feet. That’s 77 floors of absolutely decadent luxury, along with the title of being the tallest hotel in the world. What’s more, the JW Marriott Marquis has two towers of the same size! This hotel has several top-notch restaurants, which cover a range of cuisines among them. Meal costs vary, but a 20% discount is offered for those carrying Emirates NBD Debit and Credit Cards. 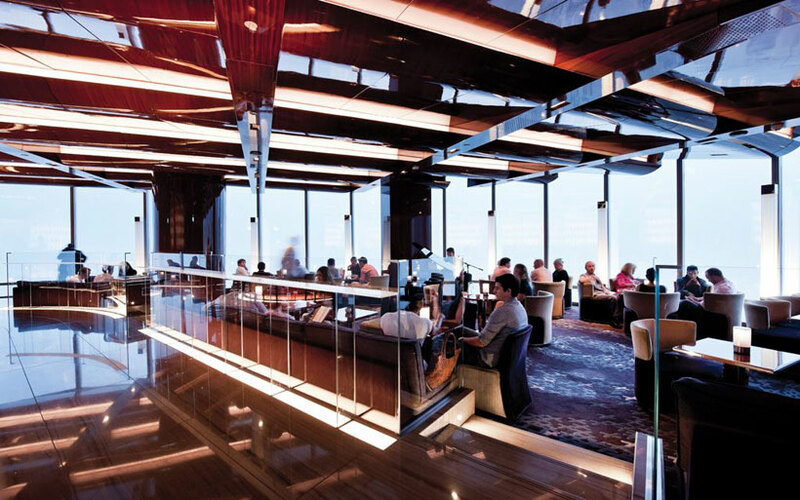 The At.mosphere Restaurant is located on the 122nd floor of the Burj Khalifa. Of course, where else? It stands at a height of 1,447 feet and 10 inches. No matter where you sit within the restaurant, you’ll be afforded 360 degree views all around Dubai. Talk of food with a view! However, bookings must be made in advance, as it is not that easy to get a table at the At.mosphere Hotel. The hotel offers a set lunch menu which costs AED 450 (120 USD) per person, consisting of two courses. You’ll be paying AED 600 (160 USD) for a three-course lunch. Email reservations@atmosphereburjkhalifa.com to reserve lunch bookings at the At.mosphere Hotel. 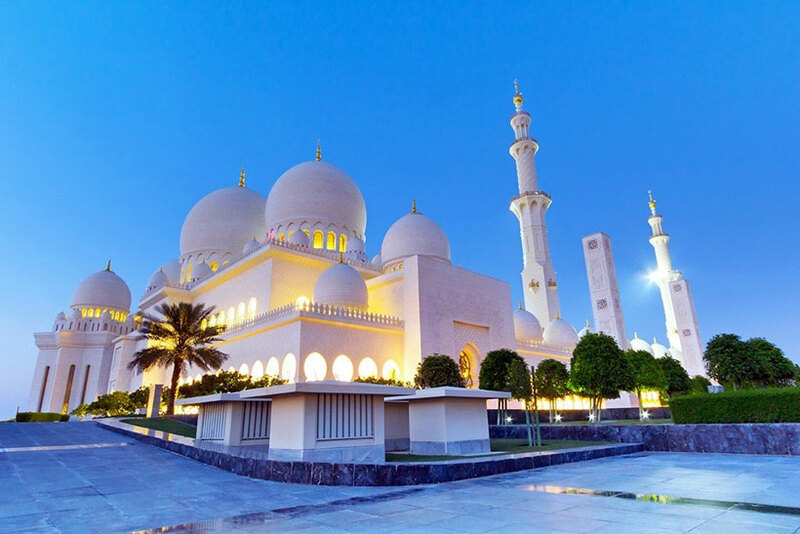 Sheikh Zayed Mosque – The World’s Largest Carpet! A mammoth structure that boasts of craftsmanship handed down over the years, the Sheikh Zayed Grand Mosque offers a modern interpretation of Islamic architecture. The interiors shine with the luxurious gleam of gold; the beautiful mosaic tiles, glass work and marble pillars are remarkable works of art. The exterior is made of blindingly white stone that makes a lovely contrast to the never-fading blue skies of Abu Dhabi. But what’s even more fantastic is the incredible carpet in the main prayer hall – the world’s largest carpet that is 60,570 sq. ft., weighs 35 tons and took 1300 carpet makers to create. Visiting hours from Saturday-Thursday are between 9:00 A.M. to 10:00 P.M. Daily ‘walk- in’ tour schedule is from 10 A.M to 5 P.M. from Sunday to Thursday, and from 5 P.M. to 7 P.M. on Fridays. 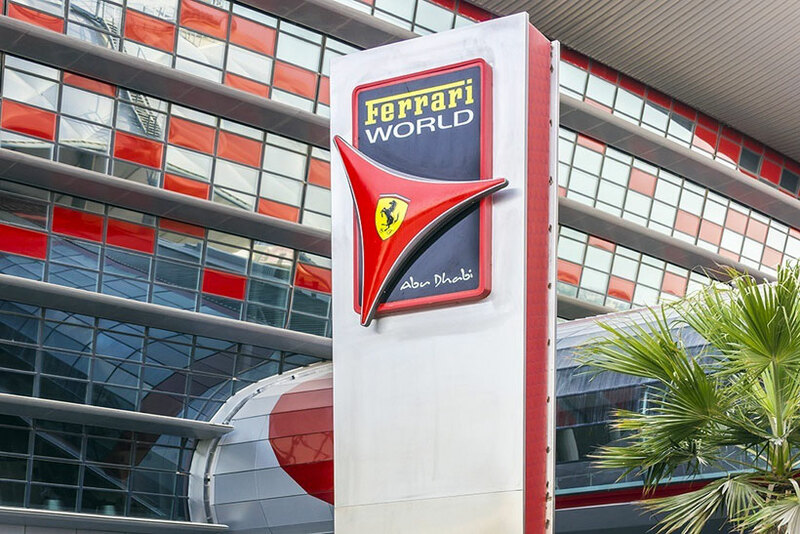 The Ferrari World Theme Park is the best thrill that any Formula One racing fan can experience. A real live race track with Ferrari cars awaits racing enthusiasts. Plus , the Junior GT track is designed for small children to try their driving skills. There’s also a Flying Aces roller coaster that moves at a speed of 120-kms per hour, designed just for True adrenaline junkies. The roller coaster has the tallest loop in the world at 52 meters. If you want more, and if you’re a true motor nerd, visit the grand exhibition of Ferrari cars dating back to 1947. There’s also a Ferrari factory tour and Ferrari knowledge game show for more Ferrari fun! Bronze, Silver and Gold admission tickets are available, at different rates, with 1 day, 2 day and 3 day passes with free merchandise thrown in. Look up ferrariworldabudhabi.com for the latest rate information. One of the UAE’s most amazing experiences is the incredible Desert Safari in Abu Dhabi. The desert safari takes you into the mind-numbing Rub Al Khali, massive expanses of empty desert covered with the most enormous sand dunes. It’s an ancient landscape where only the sand dunes change shape – nothing else changes. The world’s tallest sand dune, Tel Moreeb, measuring 300 meters tall with a 50 degree incline, is the proud sentinel of Rub Al Khali, standing guard over millennia of history. Best time to visit the Rub Al Khali is between October to February, when the heat lets up sufficiently to really enjoy the magnificence of the desert’s emptiness. Ever heard of a lantern, an actual lantern, measuring 42 feet and 11 inches tall and 16 feet 4.85 inches wide? 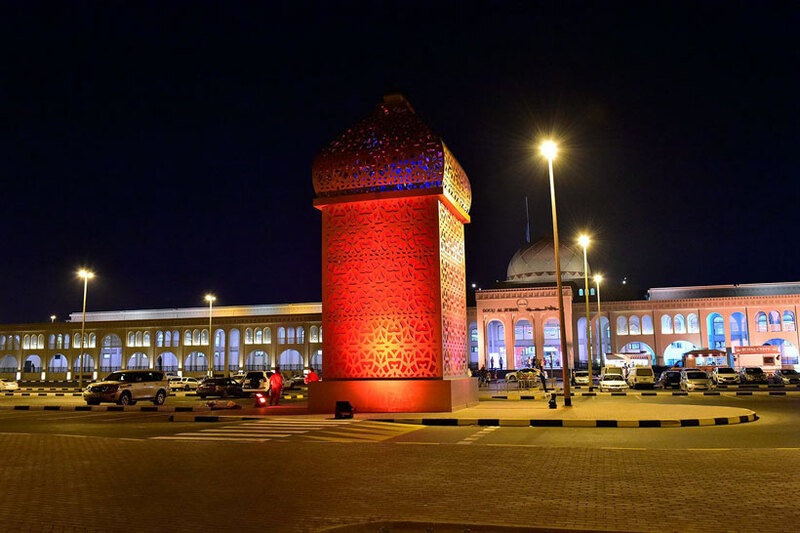 Yes, Sharjah, Emirate of the UAE, has the largest standing lantern at the Souq Al Jubail. Made of wood and copper, the lantern emits a stunning red glow that spreads out for several meters. The lantern is now an iconic, famous landmark at Sharjah’s waterfront. The record for the largest lamp in the world was previously held by the Nenbutsushu Sanpouzan Muryojuji Head Temple in Kato City, Hyogo, Japan. It measured 39 feet and 4 inches in height and 24 feet 3 inches in width. 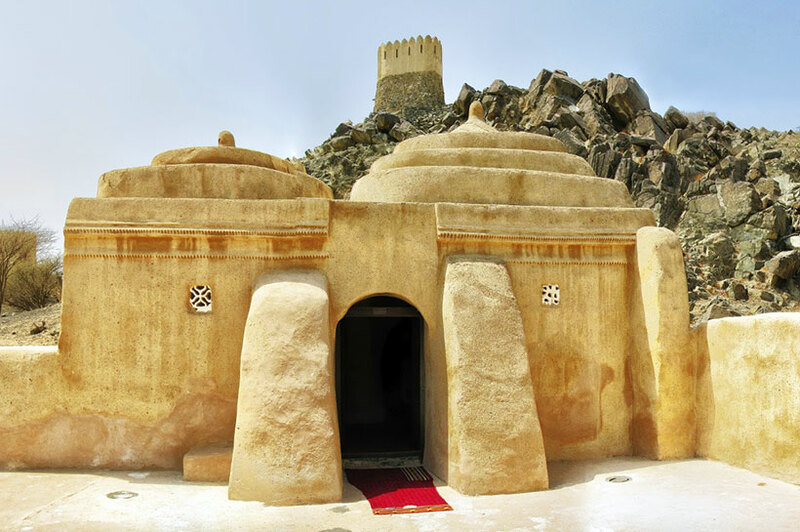 The Al-Bidyah Mosque is the oldest and most historic mosque in the United Arab Emirates, and a historically significant site for the Emirate of Fujairah. This mosque is not huge and lavish like Abu Dhabi’s Sheikh Zayed Grand Mosque. Rather, it is humble, and most beautifully designed. You can still see the mosque’s original ventilation shaft patterns, set in place centuries ago. This mosque is a must-see for history buffs. The UAE adds to its man made marvels and record-breaking events each day. 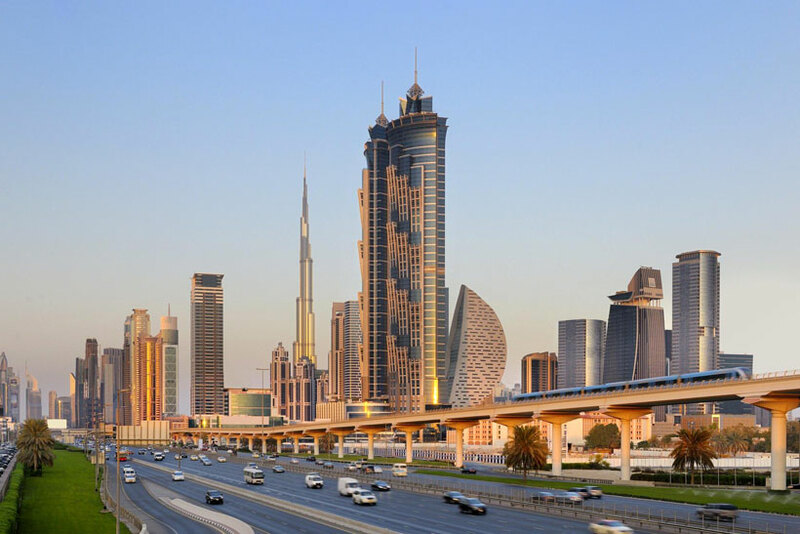 Very soon, Ain Dubai will open, and Dubai will have one more star to add to its brow – that of the tallest observatory Ferris Wheel in the world. 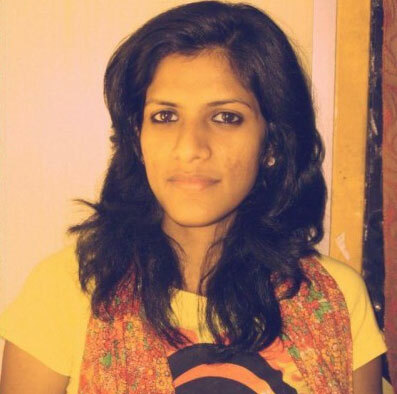 A postgraduate in Mass Communications, Neha loves everything about life. Traveling is extremely close to her heart and writing came to her naturally. An avid trekker & explorer, who often takes off some time from her busy life for mountaineering, she loves meeting new people & gets attached to their culture very easily. Her ambition is to explore as many places as she can in her life. She strongly believes in Gandhian principle – “simple living high thinking”.